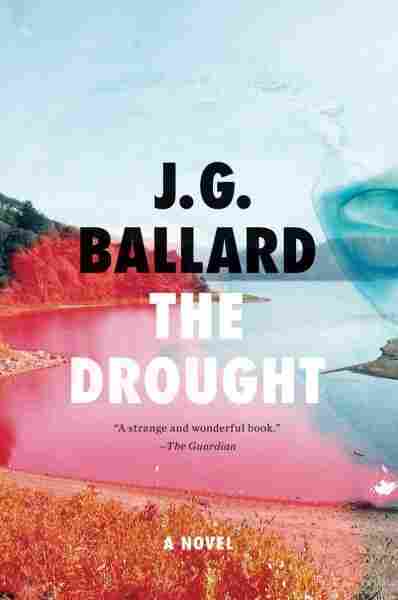 Book Review: 'The Drought' by J.G. Ballard | It rained in California this week. That might not sound like news, but the state is experiencing a record-setting drought. Jason Heller turns to science fiction to reflect on the strange weather. J.G. Ballard didn't exactly predict California's current drought in his 1964 novel The Burning World (later renamed The Drought). But like so many of his books, it does carry eerie hints about humanity's accelerating race to stay ahead of nature. The Burning World is part of a series of dystopian science-fiction novels that Ballard wrote in the 1960s before he became famous for works like Crash and Empire of the Sun. Each of these early books imagines a different cataclysmic scenario. In The Burning World, a years-long drought has dried out the planet. Crushed by heat and the never-ending quest for water, the remnants of the human race have resigned themselves to this slow-motion apocalypse. Climate change is the culprit, but Ballard was no environmentalist. A former medical student, he picks apart civilization as if he were performing an autopsy. He never moralizes or suggests answers. The Burning World is more concerned with how the collapse of society might transform our fundamental view of reality, and how reality can be shaped by our nightmares as well as our dreams. According to Ballard, "As the wide sheets of water contracted, first into shallow lagoons and then into a maze of creeks, the wet dunes of the lake bed seemed to emerge from another dimension." That hallucinatory tone makes The Burning World feel more like a mirage than a cautionary tale. This week it rained in California, but experts say it wasn't enough to reverse the drought. Not only that, the rain caused floods and mudslides. That's the kind of paradox that Ballard, in his chilling and clinical way, loved to explore. His novel immediately before The Burning World was 1962's The Drowned World. He was an equal-opportunity alarmist. Dr. Charles Ransom is the detached protagonist of The Burning World, and he feels like a stand-in for Ballard himself, who spent two years of his youth in a Japanese internment camp in Shanghai during World War II. Through Ballard's narrative point of view, he observes the resignation of others as a reflection of his own: "He seemed to accept that the coming end of the water in the reservoir would commit him finally to the desert," Ballard writes, "and that the drained river would now take him on its own terms." Leave it to Ballard, one of our bleakest writers, to offer surrender as a way to cope with catastrophe. Jason Heller is a senior writer at The A.V. Club and author of the novel Taft 2012.